If you are a skincare and make-up lover, then you’ve probably heard of it-brand Glossier. But, in case you haven’t, let me give you a little bit of background: Launched in 2014 by Emily Weiss, Glossier is just as well-known for their trendy Millennial Pink packaging as they are for their impossibly glowy and effortless approach to all things beauty and skincare-related. 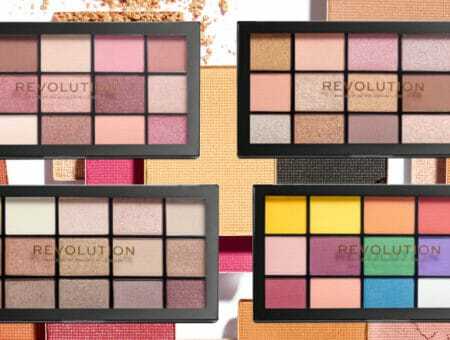 Their products are perfect for achieving that perfect I-woke-up-like-this, no-make-up-make-up look, and are beloved by cool-girl Instagrammers and big-name celebrities alike. So, with all of the hype surrounding it, you may be wondering: Is Glossier really worth it? Over the course of this two-part series, in which I will be reviewing some of Glossier’s skincare and make-up products, I will explain what I love (and don’t love) about Glossier’s products, and will also give each product a rating out of 10, which will hopefully help you to decide if you should hop on the Glossier bandwagon. If you want a review of Glossier’s makeup products, see my Glossier Fragrance and Makeup review here. Now, without further ado, let’s dive right into the world of Glossier’s skincare/body products! 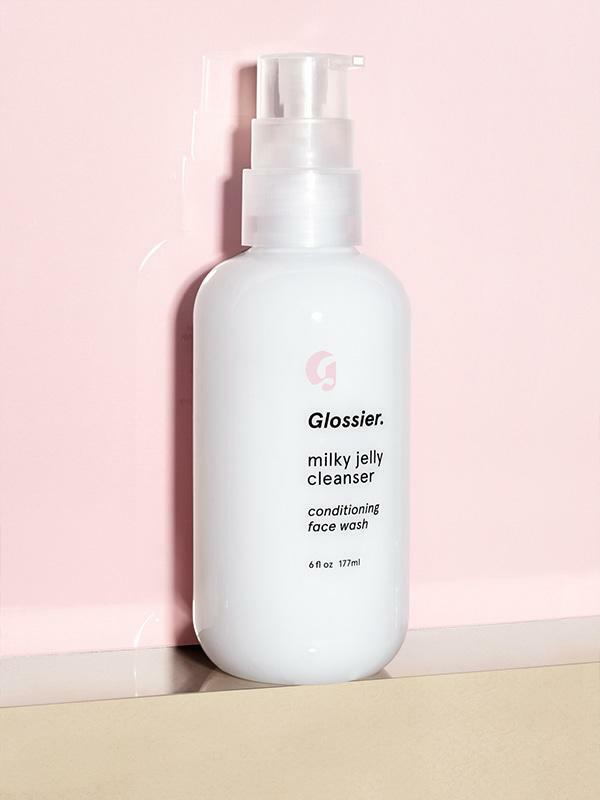 First up is one of Glossier’s most well-known products, Milky Jelly Cleanser. This cleanser has replaced my drugstore cleanser as my go-to. It has a soft but gorgeous floral scent, and the texture is similar to that of Cetaphil, only a little bit thicker and less runny. It has never, ever irritated my skin, and has never caused any dryness, as far as I can tell. When I first bought Milky Jelly, I had read some reviews stating that it wasn’t good at removing any kind of makeup at all (even if it’s not waterproof), so I used to use my drugstore cleanser first to remove makeup, and then would follow up with Milky Jelly. And, as if that weren’t enough, I swear that using Milky Jelly has, overall, improved the look and feel of my skin, which is prone to moderate acne and clogged pores. The one (very) small problem that I have had with this cleanser (and all cleansers that I have tried, actually) is that I sometimes need to go back over my eye area to remove super-tiny leftover bits of mascara/eyeliner that I didn’t get the first time around. I definitely wouldn’t say that this is a deal breaker, though. 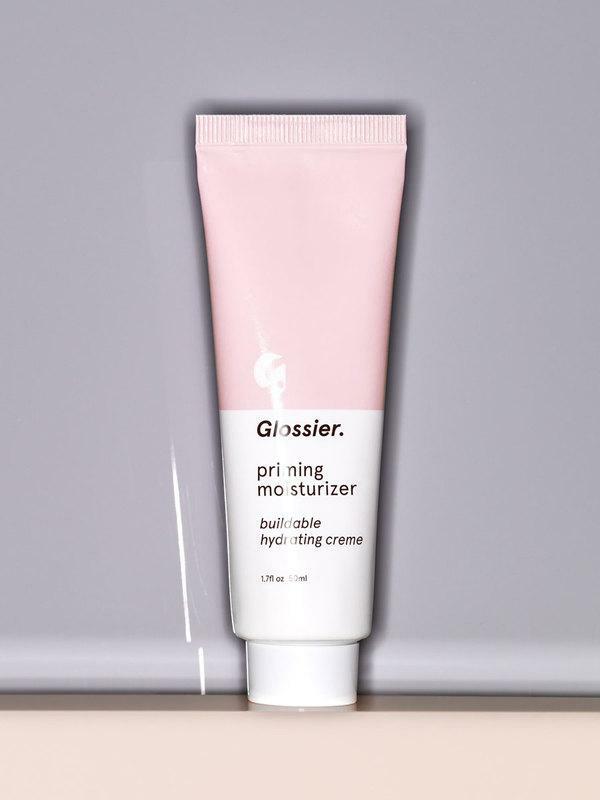 I originally decided to purchase Glossier’s Priming Moisturizer after trying a sample of it (that came with an order) that left my skin looking smooth and nearly poreless — aka all-around amazing. Just as its name suggests, Priming Moisturizer both moisturizes the skin and primes it for makeup application. It claims to be non-comedogenic and good for all skin types, and, as someone with very oily skin that is prone to moderate acne, I have found this claim to be true. However, in spite of the fact that this product leaves my skin feeling moisturized all day, I have definitely found that when I use it, my skin is more prone to shine, and that my makeup doesn’t last as long as it does when I just use my regular primer. For that reason, I am not 100% sure if I will repurchase it when I finish it, or if I will look for something else to try. I would recommend giving it a shot, though, especially if your skin is in the normal-to-dry range, as it would probably work better for these skin types than for those of us with combination or oily skin, such as myself. 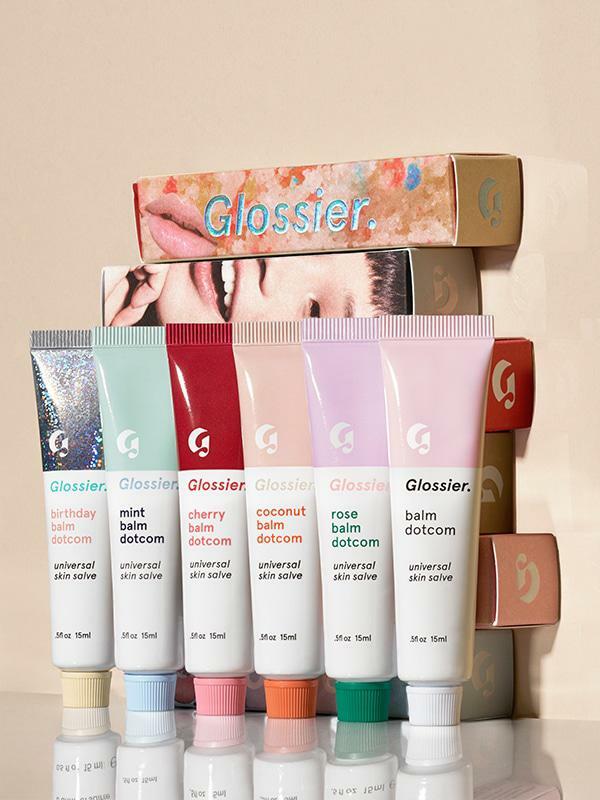 Glossier’s Balm Dotcom is one of my favorite products from the brand, and is definitely the most fun to use! This hydrating salve comes in six different scents/flavors, of which I own four: Birthday (clear with subtle sparkles and a sweet birthday cake scent and flavor), Cherry (red-tinted with a cherry lollipop scent and flavor), Coconut (clear with a coconut cookie scent and flavor), and Rose (pale pink tint with a rose scent and flavor). I primarily use them as lip balms, but they also work well on dry cuticles and small rough patches on my hands. And, while they all make a difference in the hydration of my lips and skin, I find the Coconut Balm Dotcom to be the most moisturizing, while the Birthday Balm Dotcom is the least (with Cherry and Rose, respectively, falling in between these two). Flavor/scent-wise, I would say that Coconut is my favorite, followed by Birthday, Rose, and finally, Cherry. Furthermore, I will admit that they aren’t quite as hydrating as my other favorite lip balm, EOS Visibly Soft Lip Balm Sphere in Coconut Milk; but, because of the fun flavors/scents and cute packaging, I find myself liking Glossier’s product better overall. One last thing to note is that sparkly design on the Birthday Balm Dotcom’s tube tends to wear off rather quickly for some reason, which, while slightly disappointing for a product at this price point, doesn’t have any effect on the product inside. As soon as Glossier came out with their Body Hero Daily Oil Wash, I knew I had to try it out! And, although there was no way for me to smell it before trying it out, I decided to risk it and purchase it anyway. I’ll admit that, the first time I tried this body wash, I wasn’t sure if I would end up re-purchasing it. However, after another couple of tries, I was hooked. The scent is a little bit hard to describe; it’s soft and floral, with a slight hint of — wait for it — wet-dog smell. Yes, you read that right. (Note that I have never heard of anyone else saying this, so maybe I just have a weird sense of smell.) But, take me at my word when I say that this stuff smells absolutely amazing in spite of (or is it because of?) this quirk, and, dare I say, is one of the best-smelling body products I have ever tried! The texture is really cool as well, as it is quite thin and runny for a body wash, yet it still leaves you feeling fresh and clean when you step out of the shower. It is also quite hydrating and, in my personal experience at least, has never been irritating to use on dry skin. One thing that concerned me about the Daily Oil Wash at the start is the fact that, as the name suggests, it contains oils, which I was afraid would clog my pores and/or cause body acne. But, I have been using it for months now, and I have to say that it does not do either of these things. Lastly, there is one big downside to this body wash, and that is the fact that you don’t get a whole lot of product for your money, and, since a little does not go a long way in this case, you may find yourself going through a lot of it at once. However, this hasn’t stopped me from being a huge fan. 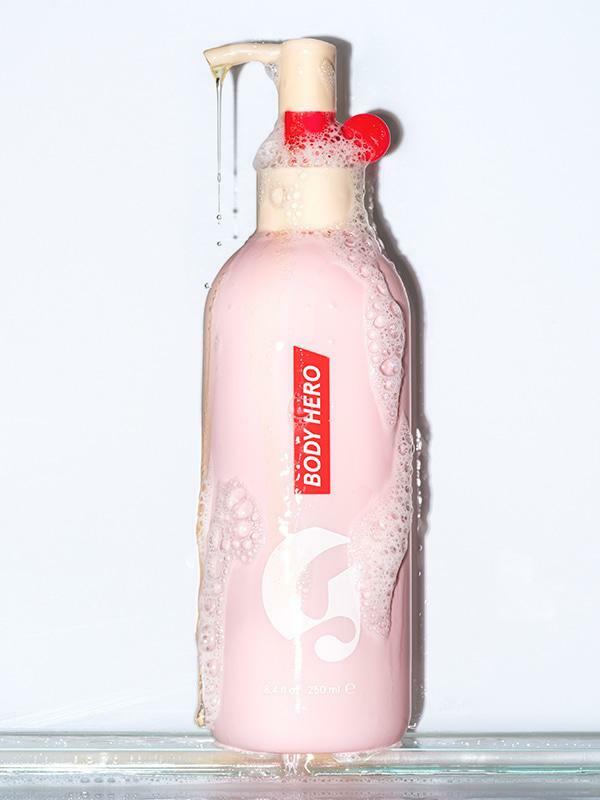 While I was all set to try out Glossier’s body wash as soon as I could, I hesitated for a while before finally caving and trying the Body Hero Daily Perfecting Cream, due to the mixed reviews it received on the Glossier website. Many people complained that the cream pilled on their skin after they applied it, and so I wasn’t sure it would be worth it to try it out. But, I am very, very happy that I listened to my shopper’s instinct (totally a thing) and ended up buying it anyway. Like the body wash, the Daily Perfecting Cream smells lovely, though it is definitely more subtle. (Also, I have to say that, unlike with the body wash, I don’t get the hint of wet-dog smell with the cream. Weird.) It melts into your skin right away and the hydration that it provides lasts all day. Therefore, unless your skin is extremely dry, it’s definitely worth giving this cream a go. In addition, I have not experienced any of the pilling described in some of the online reviews, save for a very, very tiny amount on one or two occasions, which was hardly noticeable. Finally, while this product lasts significantly longer than the body wash, the amount of product that you get isn’t huge, especially if you’re used to the larger-sized drugstore lotions. So, that’s all the reviews for today! I hope that they have been helpful to you, and that they have given you a good overview of Glossier’s skincare/body lines. If you want more Glossier, check out Part 2 of this series, where I review Glossier’s makeup products! Did you enjoy this article? Have you ever tried any of Glossier’s skincare/body products before? If so, what did you think of them?